What’s happening with Winsor Music? Read our latest blog post for updates, photos, and more. Kickstarter Campaign a Huge Success! Our 30-day Kickstarter campaign to fund concerts at the Mather School in Dorchester is now concluded, having raised over 168% of our goal! 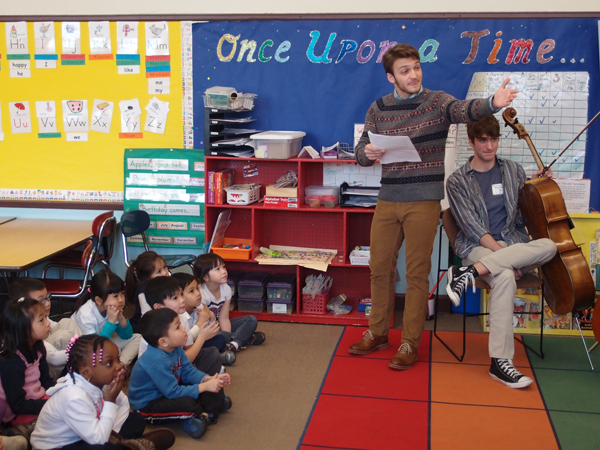 86 generous backers have made possible a year of concerts at the school, and then some. Winsor Music is grateful to all of our backers, and your rewards (if you chose one) will be forthcoming. For now, we will be busy making plans for the concerts, and looking forward to having some musical fun with the kids at the Mather School. Thank you, all!